The numbers are out and it looks like Twitter has had yet another good quarter with the number of monthly active users growing by nearly a quarter year-on-year to 271 million. More than three quarters of these - 211 million - were mobile users and timeline views were up year-on-year by 15% to 173 billion. 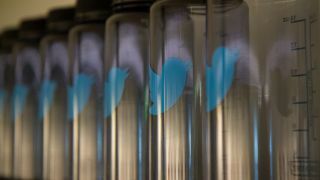 Twitter revenues went up to $312 million (about £185 million, AU$333 million) with earnings per share of $0.02, far higher than what the analysts - and Wall Street - had expected. A whopping 88% of the revenues were generated from timeline views. What's the point of Twitter if it's just like Facebook? Year-on-year revenues grew by 124% with the majority coming from mobile advertising. GAAP losses however have more than tripled to $145 million (about £86 million, AU$ 155 million) over the same period, something which might be a cause for concern for investors. Looking at the bigger picture, shares of Twitter jumped by more than a quarter overnight to reach nearly $49 (about £29, AU$ 52) in after hours trading. That is still a third off its 52-week high.